When embarking on Scooter Life, I knew I wanted something that I could prepare real meals with, but would still be able to fit in a nothing space. A tall order, I know. 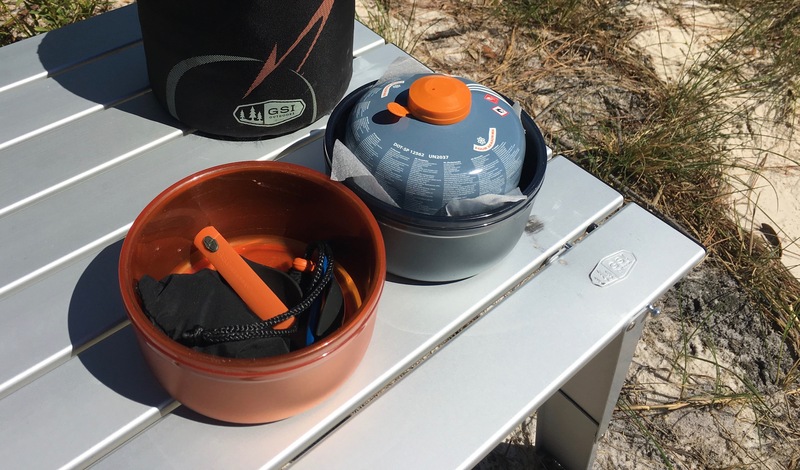 Usually when I think of compact camp cookware, I think of tiny doll-like equipment that will only prepare freeze-dried goods. 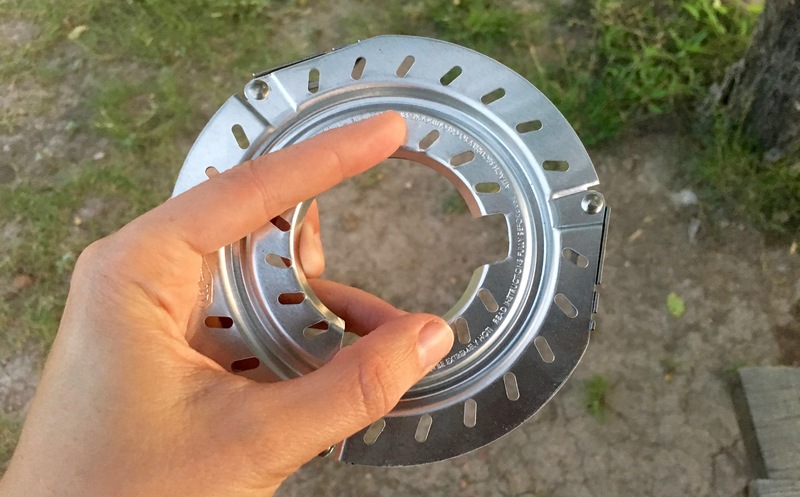 I know there is something of a middle ground in the camp cooking world, as while living in 4-wheeled adventure mobiles, I became pretty familiar with using camp cookware on a daily basis. 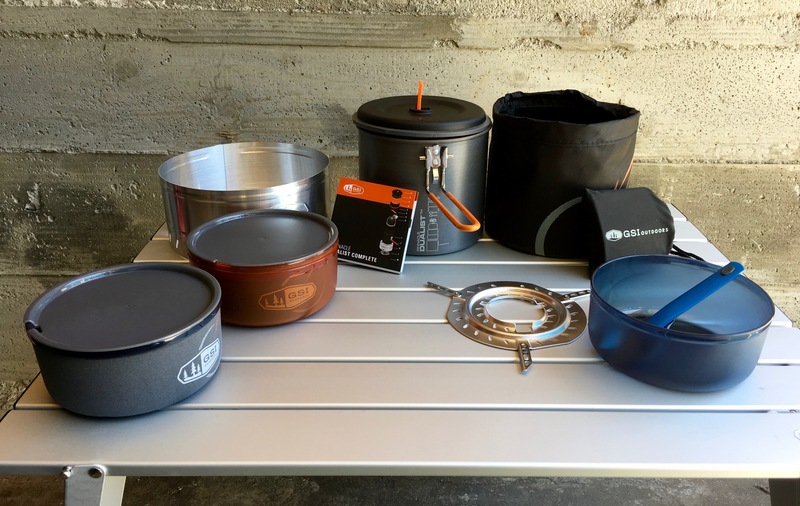 However, I would still place the equipment I used in the “gourmet” category as my pots, pans and cookstove were of the larger variety, which gives you a lot of wiggle room to get creative. 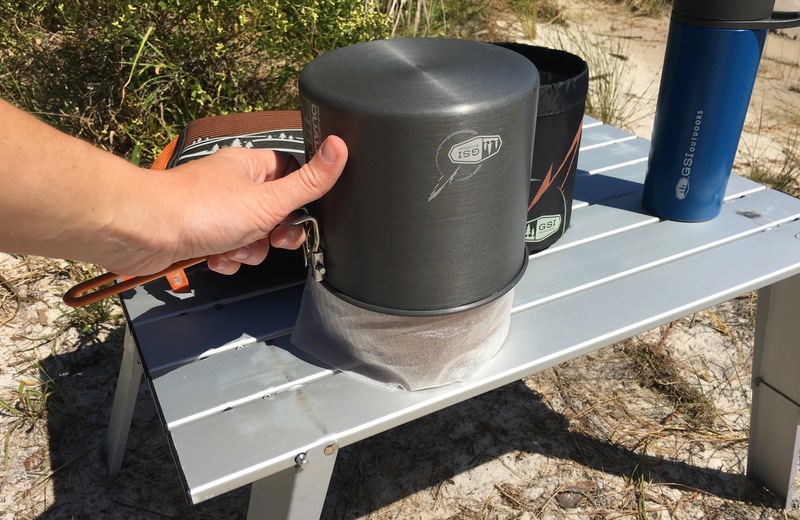 Sometimes in the effort to create a more compact cooking alternative, some corners can be cut, leaving boiling water as the only thing you really want to do with your super tiny ultra light mega camping pot and stove. The cooking surface isn’t easily ruined. Has a handle that won’t collapse or fall off at the least opportune moment. 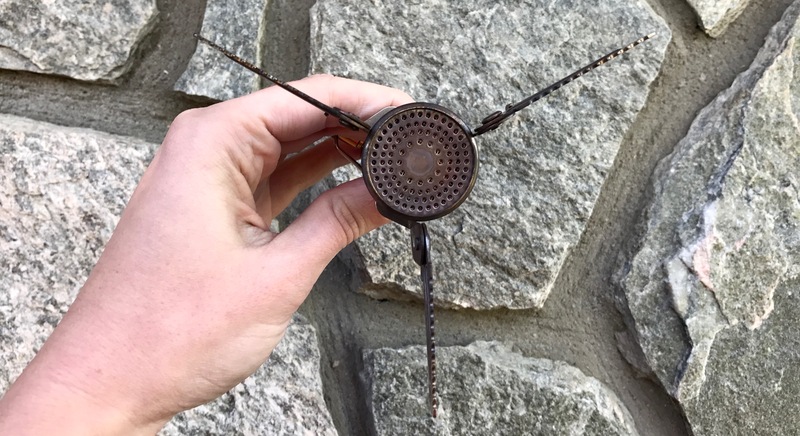 Provides life beyond boiling water, but still includes a strainer. Has no wasted space when put away. Knows that wind can be an obstacle in the cooking process. 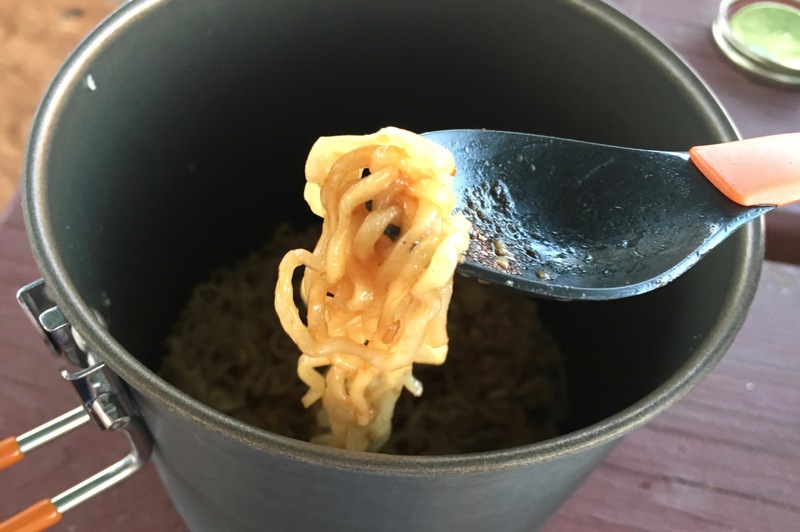 In my search, I was prepared to make sacrifices, but I found something that made it incredibly easy for me to make tasty food beyond just eating ramen, which trust me, I have turned into an art form. 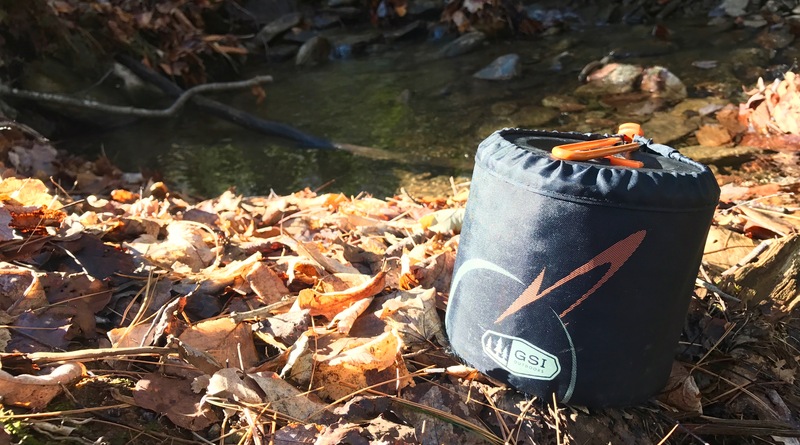 GSI Outdoors Pinnacle Dualist Complete offers an incredible amount of versatility in a very compact package. I love magic tricks where you actually get to keep a prize at the end. To me, taking apart the Pinnacle Dualist Complete cookware is that magic trick which even includes the kitchen sink. But really, look at all of that magical camp cookware! 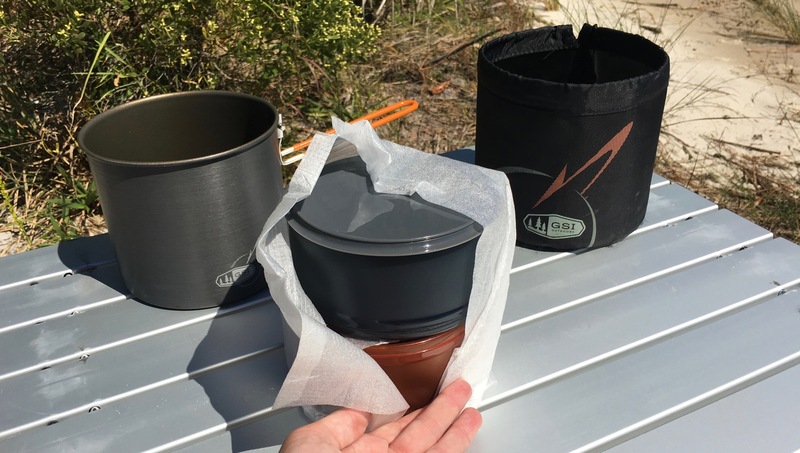 While I may pride myself in my Tetris abilities, GSI Outdoors takes the guessing out of the stacking game, by placing the ‘How To’ diagram on the outside of the pot, so you are able to put the magic puzzle back together like a pro every time. 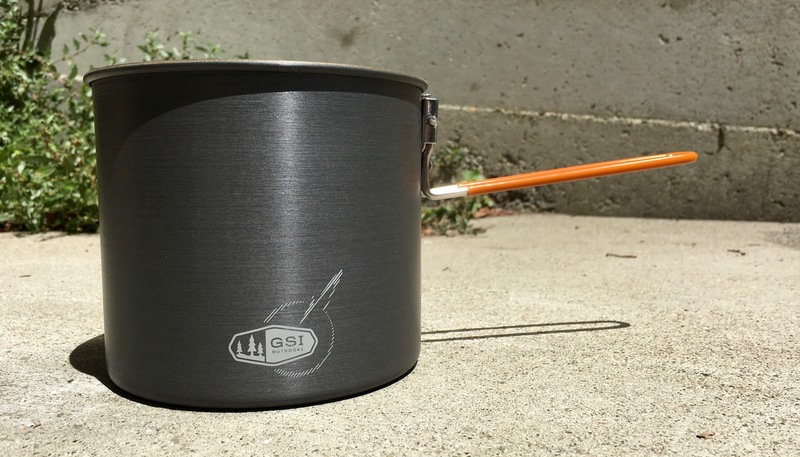 The Pinnacle line of cookware from GSI Outdoors is a fantastic non-stick offering. In my extended experience with their bigger pots and pans, I have zero complaints with how the material holds up. As par for the course with non-stick pots, stay away from metal utensils and you’re going to have a good time. The size of the Dualist pot is perfect for me. They do offer a smaller version of this pot set, but I wanted some wiggle room, and that’s what I got. The relatively wide base of the pot allowed me to scramble an egg with surprising ease. Using the spatula from the Gourmet Kitchen Set 11, it had a long enough handle to reach the bottom without being in danger of burning my hands on the pot. 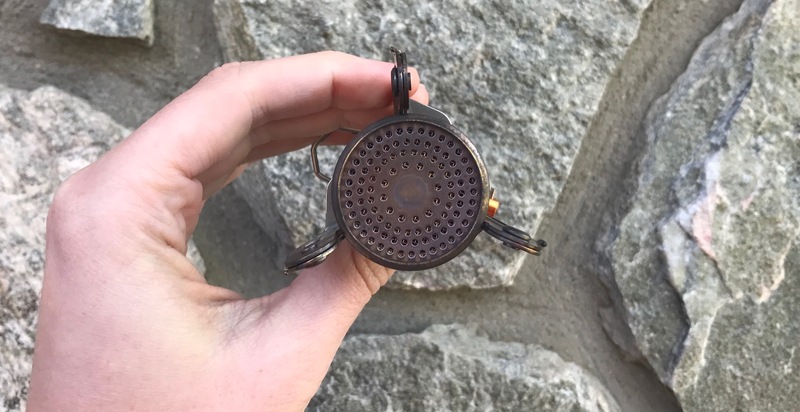 The volume is also perfect for boiling enough water for coffee, oatmeal and clean up with water to spare. The handle on this pot is fantastic. You do not need to be the Incredible Hulk to release the handle when adjusting it to and from the locked position, which I am a fan of. However, it is taught and secure enough that I am never worried it is going to spring free and result in cooking chaos. The handle is located high enough on the pot that I have yet to worry about it getting too hot to touch without a mitt, even when cooking for over 20 minutes. Even still, the silicone covering adds great protection, not only from heat, but for the lid as well when stowed away. Rounded polypropylene vessels are a big key to my camp life. 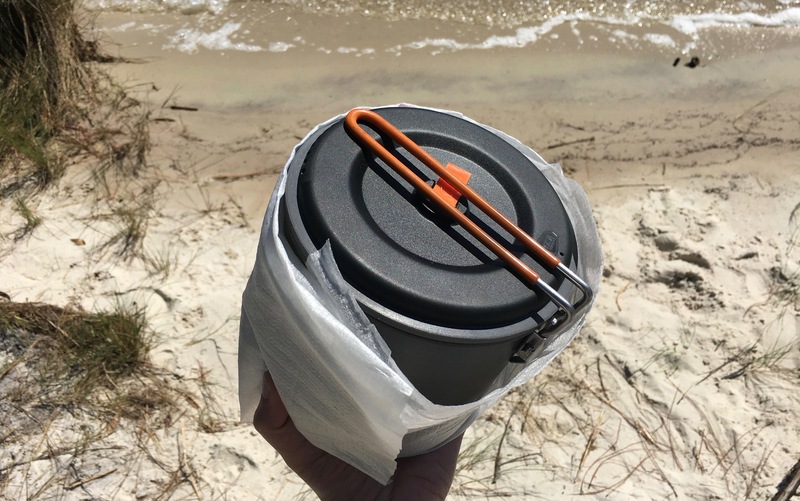 With the addition of an insulating sleeve and a sip lid, so many options for food and beverages are at your fingertips. 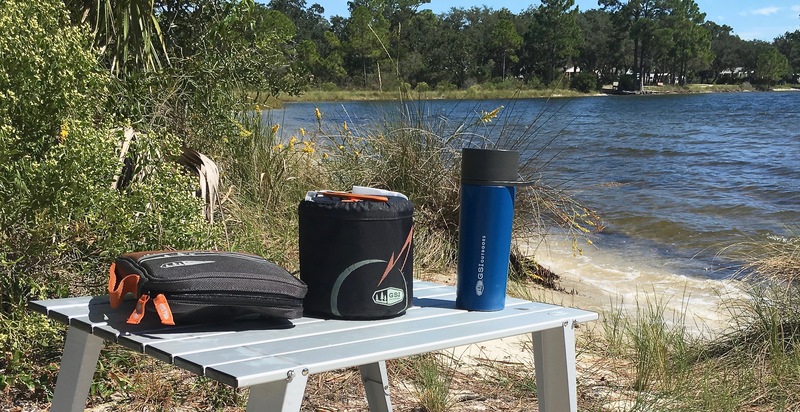 I point out the rounded nature of these cups and bowls as there is little worse than having to waste extra time cleaning your dishes and less time enjoying where you are. 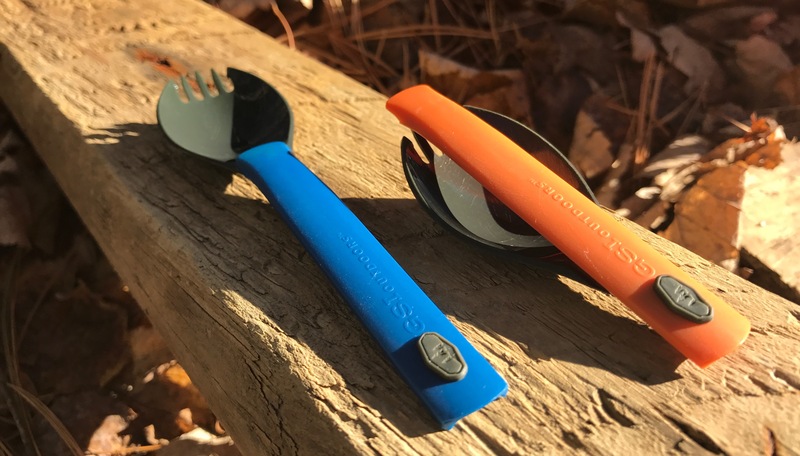 The rounded edges make it easy to access all of your delicious offerings with your utensils, and then later to clean with a scraper. 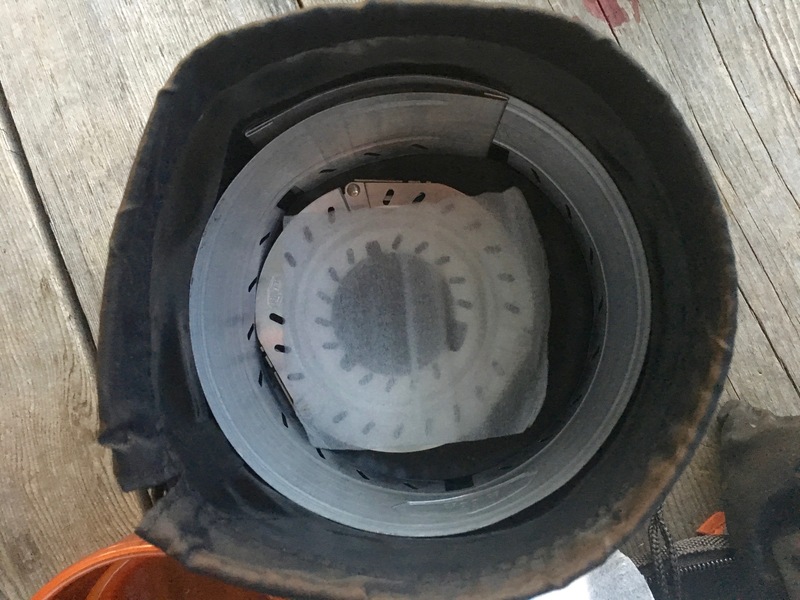 The beauty of having your cups and bowls stack seamlessly together is that if you only really need one, you can leave them together to offer added insulation to your hot dish. Besides the bigger pot, another reason I chose the Dualist, is to be able to have the option of four different places to put food while I’m cooking. I am still learning the art of the one pot cook life, so after sautéing some veggies or the like, I will toss them in the mug with a lid to keep them warm while I work on my next dish. Also, in the event that I find some new friends to cook for, I don’t have to worry that I won’t have enough bowls. Yes, a foon! 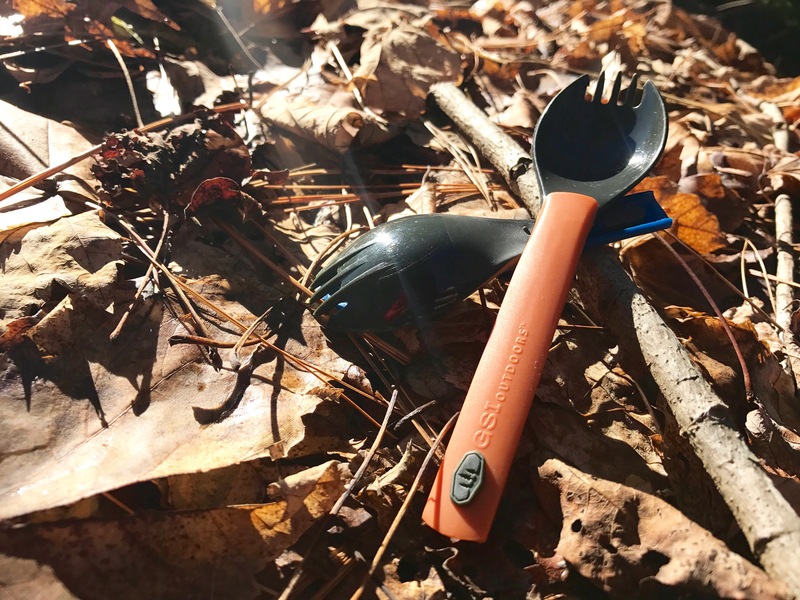 A .3oz telescoping fork/spoon. 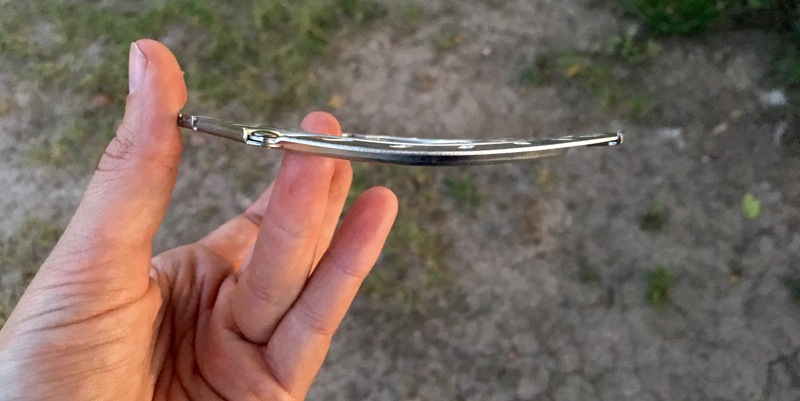 The foon is made from 6.6 nylon, so it offers up some great resistance to heat and is pretty hearty. As far as the fork aspect goes, the tines are a little short, but with the addition of a “hook” on the outside tines, most everything you’re trying to poke will stay put on the foon until it has reached its destination. The tines have proven themselves to be mighty in the sense they all have remained intact after a battle with a block of cheese and an elusive hunk of steak (I’ll just let your imagination fill in a photo here). 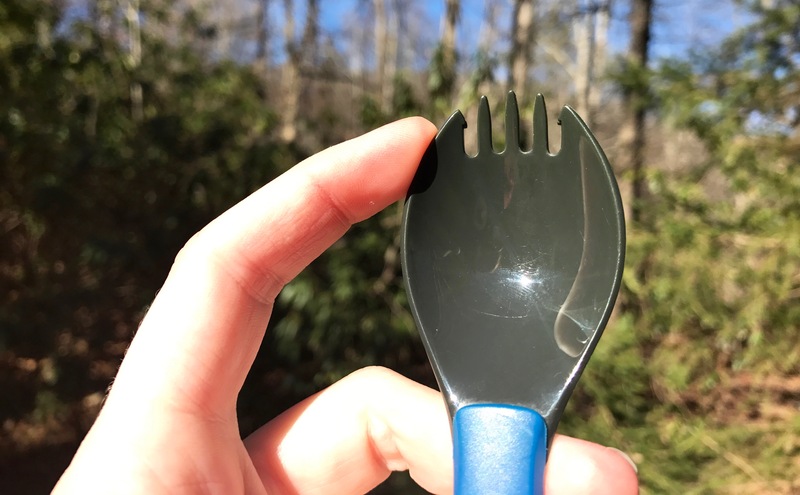 The foon also locks in the extended position making it easy to poke away with out fear of it collapsing into your spaghetti. 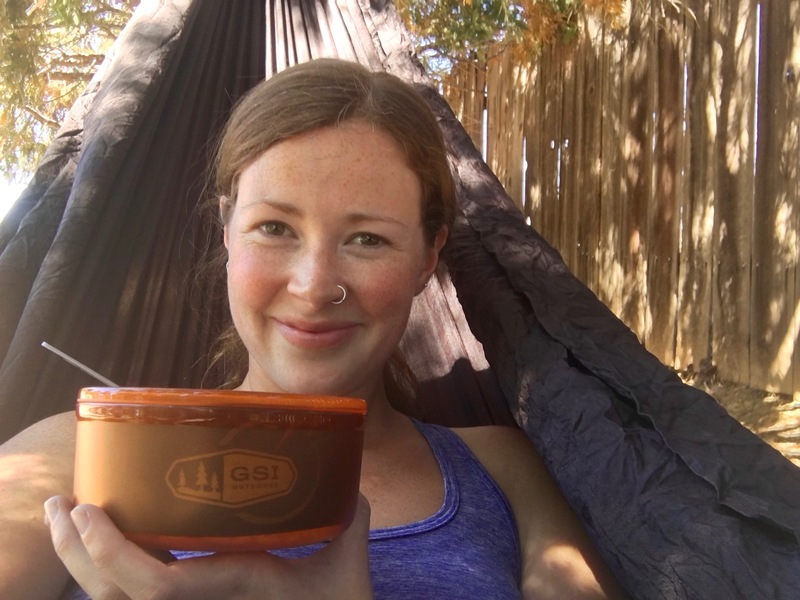 For use in the spoon department, you’re not going to be winning any speed soup eating competitions, but when it comes to scooping out some coconut oil, or eating oatmeal, you’ll be set. YES!!! 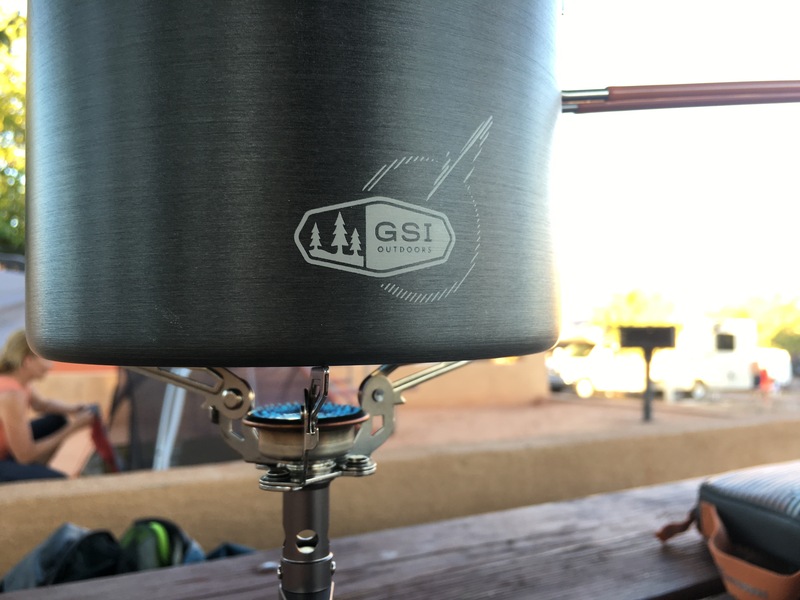 I have used many a compact camp stove, and I thought that they had reached their peak of making any advancements or noticeable differences, but I am happy to say that GSI Outdoors went ahead and tossed their hat into stove game ring with confidence and a new voice. 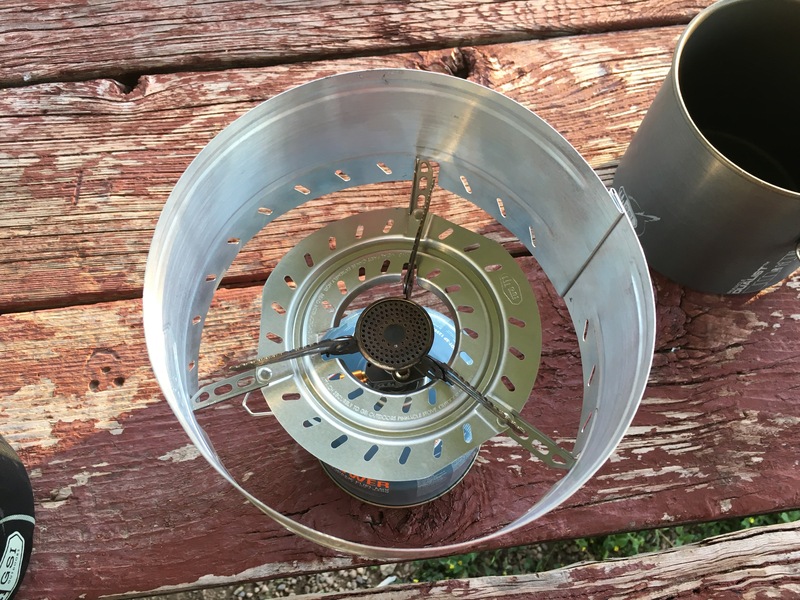 What I really enjoy about this camp stove is its large and sturdy platform for cooking that is able to fold away into nothing. 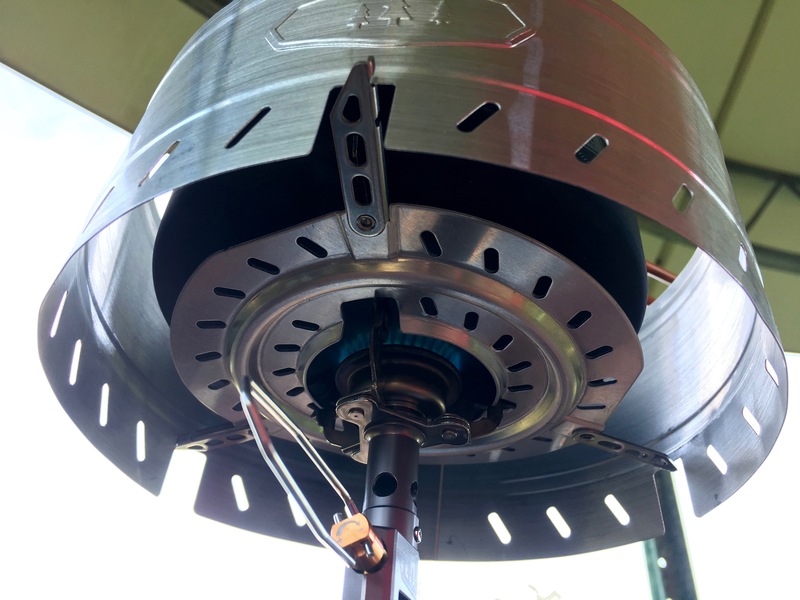 The pot supports are craftily engineered so they are able to be quickly adjusted into their cook or stowed positions without worry of over extending, or breaking anything. 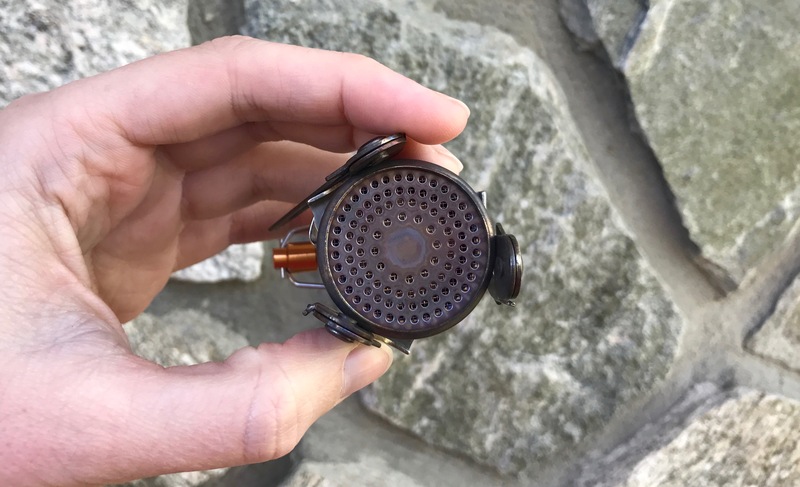 My second favorite thing about this stove is the windscreen that comes with it for the Pinnacle Dualist Complete. 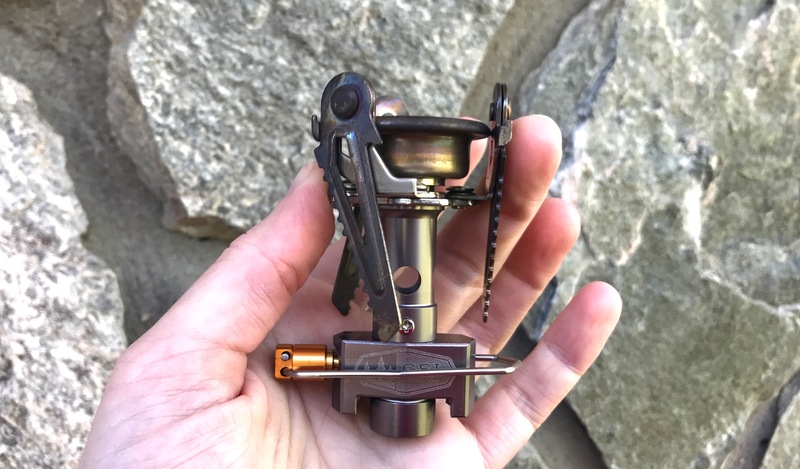 I like that it is not integral to the whole camp stove set up, so that if I don’t need it, I don’t have to use it. But let me tell you, when the wind is out, I am so very grateful to have it. Take a look where my finger and thumb are placed in reference to the indentations on the inside rim of the windscreen base. These are the indentations that sit on the bump of the underside of the pot supports. To make sure the windscreen sits securely, you can apply a little pressure to the base where my fingers are, so it bends at these points. After making this little adjustment, the windscreen will sit happily and securely in place! In an effort to keep everything in as great of condition as possible while being banged about in Scooter Life, I kept some of the packing material that the Pinnacle Dualist came with to keep metal on metal contact to a minimum. I snapped a few photos of my pack up process that has managed to keep everything looking new! And now, a snapshot of breakfast in Bryce Canyon National Park.